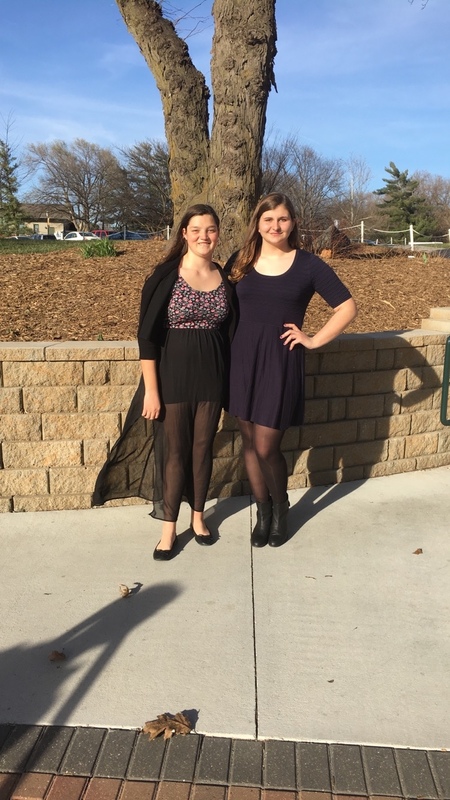 The Exeter-Milligan music department recently participated in the Crossroads Conference Honor Band and Honor Choir at Doane College on Monday, March 21st. The membership of both groups was selected based on a recorded audition, judged by teachers in the Crossroads Conference. The Honor Choir was directed by Mr. Lynn Hall, the choir director at Heartland Community Schools in Henderson. The Honor Band was directed by Dr. Jay Gilbert, the band director at Doane College. Students went on a college tour and participated in sectional rehearsals when their large group was not performing. Several band students received medals for being selected to a first chair part. 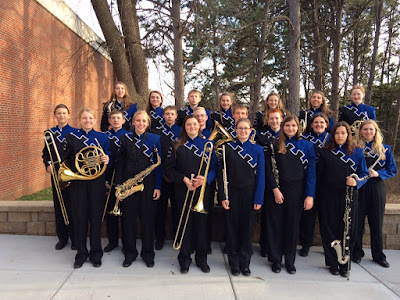 They were: Ella Wilkins, first flute; Ashley Benorden, first clarinet; Kaitlyn Vavra, second clarinet; Trystan Brandt, first trumpet; Caitlin Murphy, first French horn; Haylee Sheffield, fourth French horn; and Nick Hayek, second trombone. Ashley Benorden received a medal in the Honor Choir for being one of the top five altos selected. Below - CRC Choir pic - Katherine Skinner and Ashley Benorden were members of the CRC Honor Choir.